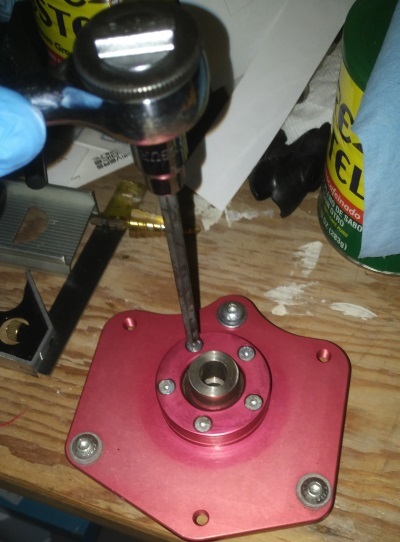 I recently got a set of used Tarett front camber plates and there was a decent amount of play in the spherical bearing, it was easy to move around (which isn't necessarily bad) but also there was play in the bearing (which is bad). 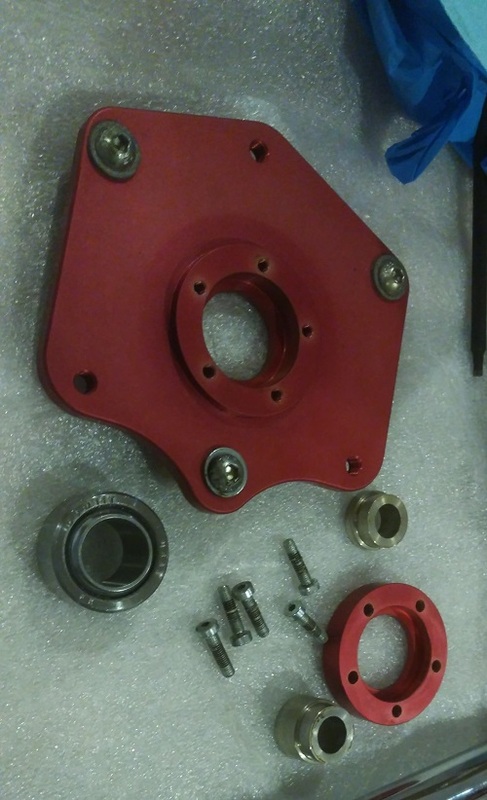 I spoke with Ira at Tarett and he recommended that I install new spherical bearings into the plates. Turns out, it wasn't that expensive. 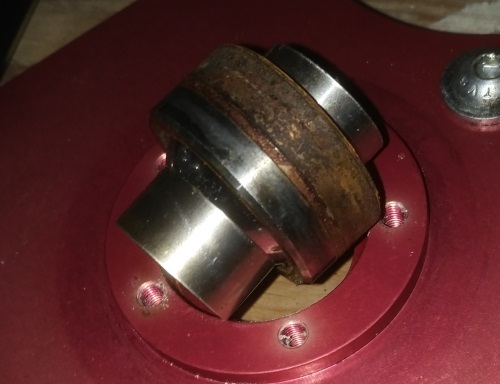 So if you are thinking about getting an older set of camber plates but are worried that the bearings are worn out, they aren't that difficult or expensive to replace. 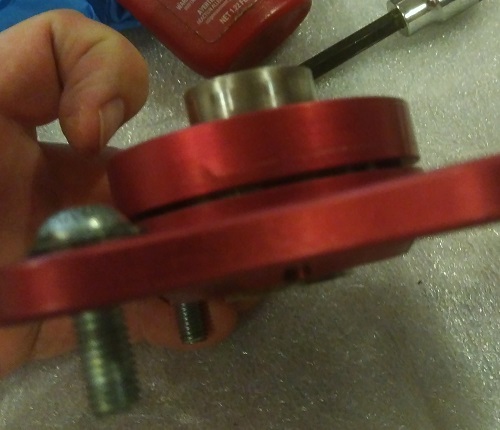 To take out the old bearing, first undo the 5 small screws, using a 3mm allen wrench. I tried using my small handheld set, but it didn't have enough torque, so I got out my socket set. Once these are removed, the retaining cap can be removed. I was able to twist this off by hand, it shouldn't be on there too tight. 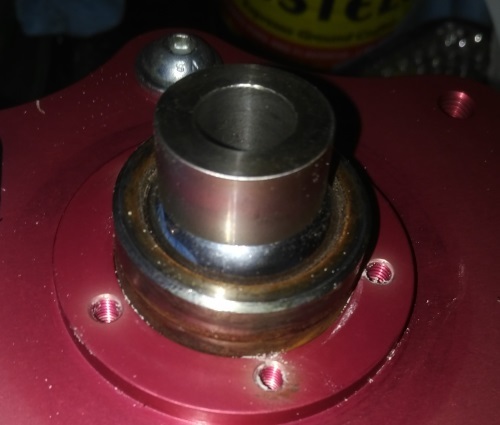 Here's a close up of the spherical bearing in the camber plate, with the retaining cap removed. I was able to push this out using my thumb on one of the plates, and on the other one I had to tap it out with a punch and a rubber mallet. Once removed it looks like this. 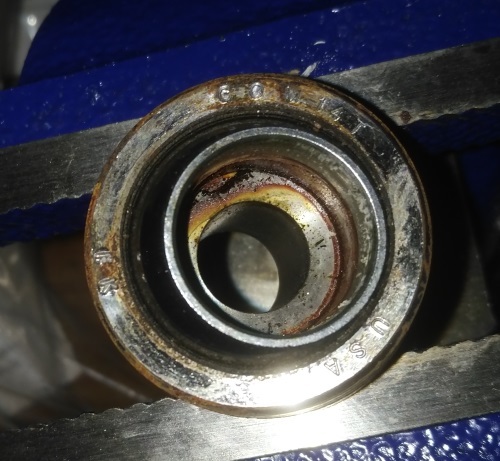 There are two spacers; one on each end of the bearing, that need to be removed. 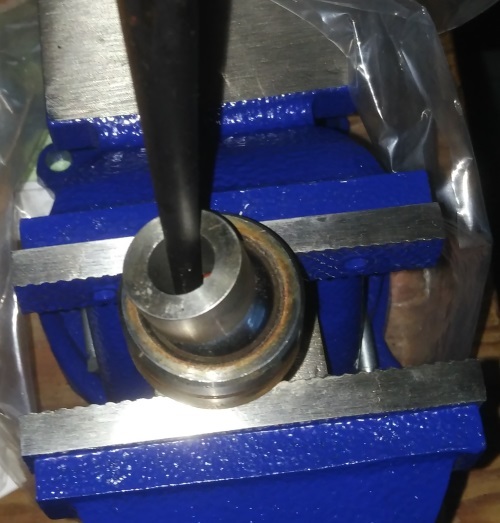 I tapped them off using a punch and a rubber mallet, there is a gap in between the spacers that you can put your punch on. With one spacer removed, you can see the other one better. 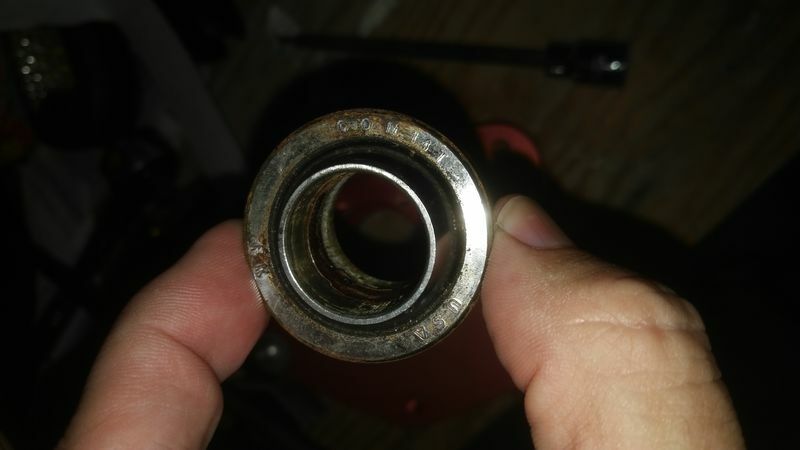 Here is the bearing by itself, removed from the plate and with the two spacers removed. The COM14 is the size, and T means it is teflon lined. 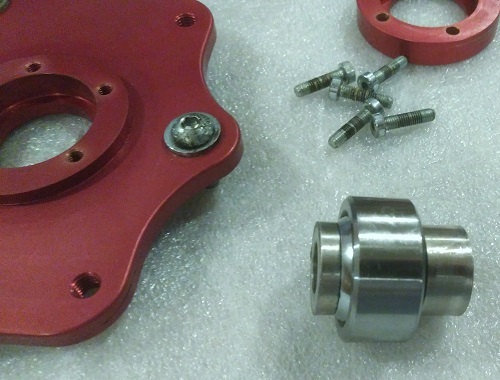 The bearing used in the camber plates is the F1 spec. They are supposed to get here in around a week (UPS ground from CA to FL) so when they do I will finish up this DIY. 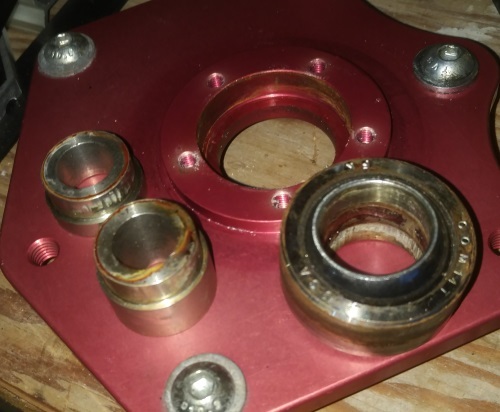 They also seem to show a 2 part spacer for the bottom, where my unit has a single larger spacer for the bottom and a smaller spacer for the top. I don't know if it is because the plates I have are really old or what... 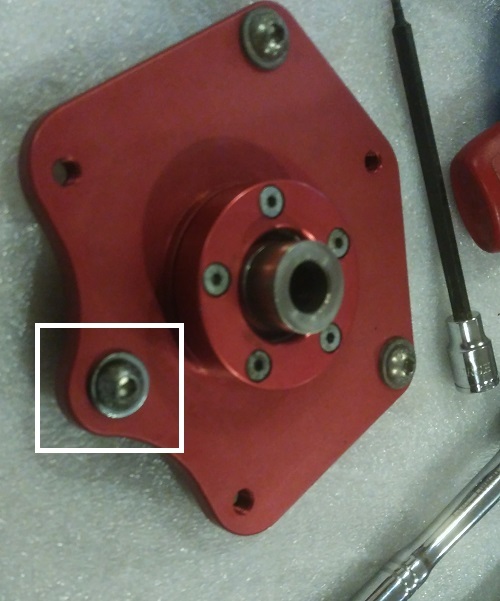 Apparently when using these plates on a GT3 you need a smaller spacer on the bottom and so the two part spacer shown in the assembly diagram accommodates that. Last edited by steved0x; 10-04-2018 at 06:02 AM. 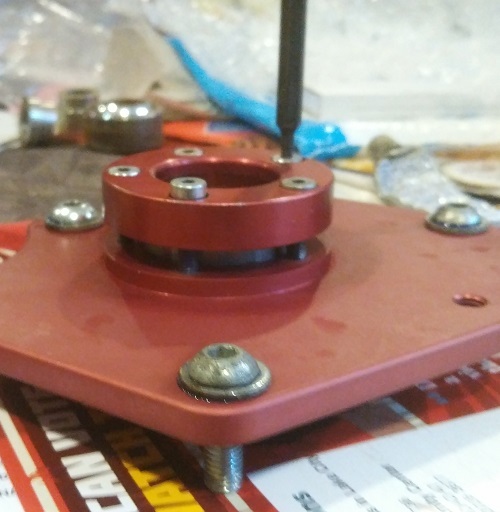 To get the bearing retainer cap on, I used the 5 screws and worked around in an alternating pattern (like lug bolts). Each time I would take up the slack, and then give about half a turn or so. It was easy to do by hand, I didn't need to use a wrench, until the very end when I torqued them down to 45 inch/pounds. 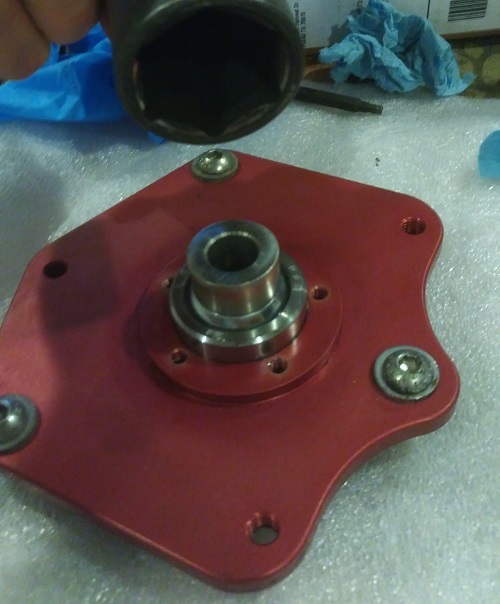 All done and ready for installation onto the strut. 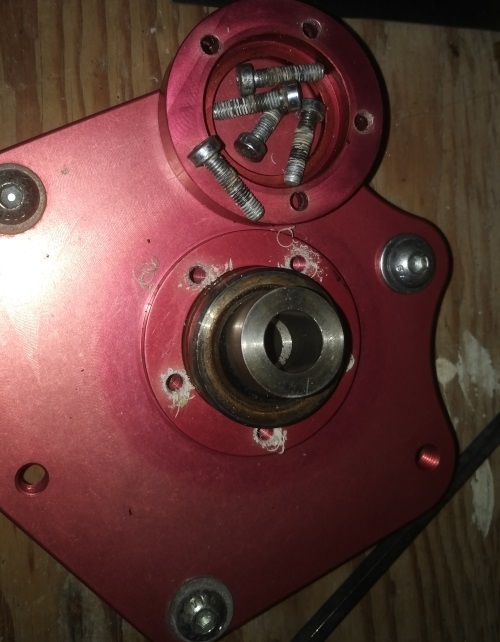 If you are using these with the OEM strut top thrust bearing (when using these with OE springs, PSS9, and similar) then this washer might hit that bearing, but if you loosen the bolt and move the washer as far outboard as it will go before tightening it back, it will clear.